The sleepless nights won’t last forever and diapers won’t always be on the shopping list, but time is unlikely to usher out one aspect of parenting -- its cost. Raising a kid isn’t cheap, and a new report has detailed just how much it costs to raise a child from birth through age 17. Parents can expect to spend around $13,000 a year per child, according to a report released Monday by the Department of Agriculture. By the time kids are 17, parents will be looking at a total tab of nearly a quarter of a million dollars. 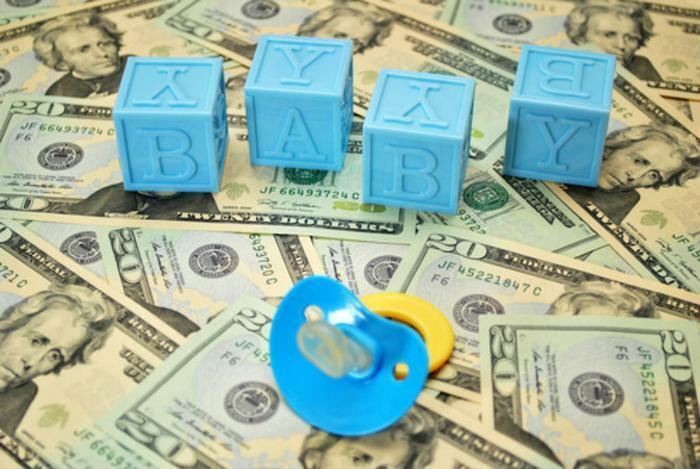 A middle-income, married couple with two children is estimated to spend $233,610 to raise a child born in 2015 -- and that's without college expenses. The cost varies by income level, location, and family size, but the big expenses that come along with raising a child are similar across the board. Housing accounts for 29% of the total cost of raising a child for middle-income families, primarily due to the cost of an extra bedroom. Food was the second biggest expense, accounting for 18% of the total cost of child-rearing. Child care also tends to take a big bite out of parents’ budgets, costing an average of $37,378 per child. And as children age, parents can expect to shell out more on transportation, food, and health care. As you might expect, having a teenager in the house can lead to a higher grocery bill. Parents of 15-17-year-olds spent $2,790 on food in 2015. This average annual cost is 22% higher than the cost of feeding a child between the ages of 6 and 8, the government found. Families with lower incomes are expected to spend an average of $174,690, while families at the higher end of the income scale will spend around $372,210 per child. Location is also a factor in determining how much a family will spend. The cost of raising a child is highest for parents in the urban Northeast, who face hefty housing, child care, and education costs. Families in this region can expect to spend $253,770. Families in the urban West had the second largest total cost, at $235,140. Families rooted in rural areas pay 24% less overall than those who live in the urban Northeast -- an average of $193,020. Having multiple kids also helped to reduce the amount of money parents spent per child. Married-couple households that had three or more children spent 24% less on average per child compared to those with two kids, according to the report. The economic relief that comes as a result of adding another sibling to the mix is sometimes referred to as the “cheaper by the dozen effect,” explained Mark Lino, author of the report and economist at the Department of Agriculture. “As families increase in size, children may share a bedroom, clothing and toys can be reused, and food can be purchased in larger, more economical packages,” Lino said in a statement. The full report, "Expenditures on Children by Families, 2015," can be viewed here.